Knee replacement surgery is a technique that removes a diseased knee joint and replaces it with an artificial joint. The doctor thus recommended you to undergo knee joint replacement to relieve severe arthritis pain. Knee joint replacement is usually done in people ages 60 and older. Younger people who have a knee joint replaced may put extra stress on the artificial knee and cause it to wear out early. You have undergone total knee replacements surgery in your knee while you were in the hospital. During the knee replacements surgery, your kneecap was moved out of the way. Part of the end of the thigh bone was removed and replaced. The top of the shin bone was removed and replaced with a metal platform. A plastic piece fitted on top of the metal platform. The back of the kneecap is smoothed and fitted with a plastic piece. Fig.1. 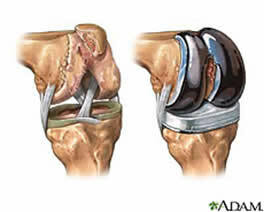 Diagram of Total Knee Replacements. Stiffness of the knee; calf pain; mal alignment of prosthesis. The pain and stiffness take time to ease, so be patient. It may take around three months before you feel fully recovered. There will be swelling on the operated knee which will come down in a week. Apply ice cubes on the operated joint to reduce swelling. Keep your wound site clean and dry. Avoid any sporting activities for at least two months. Follow the suggestions on how to walk, climb stairs, and get in and out of chairs safely. Avoid jumping, squatting, jolting the knee joint or kneeling down. Use aids to help you around the home. By the time you go home, you should be able to walk with a walker or crutches without needing much help. You may need to use these walking aids for up to 3 months. You should also be able to dress yourself with only a little help and get into and out of your bed or a chair by yourself. You should also be able to use the toilet (western style) without much help. Clicking or popping sounds from the knee joint. Follow-up depends on the surgeon, the patient, and the health care system. A typical example would be a surgical follow-up appointment at 2 weeks, 1.5 months, 2.5 months, 3.5 months, 1 year and thereafter every year or as appropriate. This is modified for each patient according to age, degree of activity, and presence of complications. After 1 year of your total knee replacement surgery, you have to make a yearly check up with your doctor. Use your walker or crutches as your doctor told you to use them. Take short walks often. Wear shoes that fit well and have non-skid soles. Do not wear high heels. This exercise helps strengthen the quadriceps muscle in your thigh and improves the stability of your knee joint. The stronger your quads the more control you will have over your artificial knee. 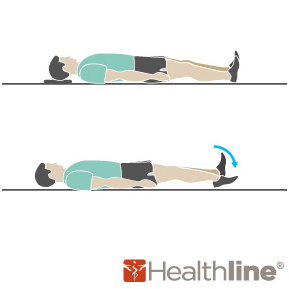 Lie on your back with your legs fully extended. 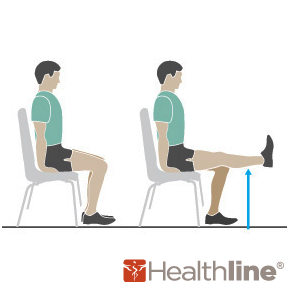 Lift your leg about six inches and hold for 10 seconds. While lying flat on your back, bend both ankles up and point your toes toward you. Then bend your ankles down and point your toes away from you. As you do this, rotate your foot clockwise and then counterclockwise, keeping your toes pointed toward the ceiling. 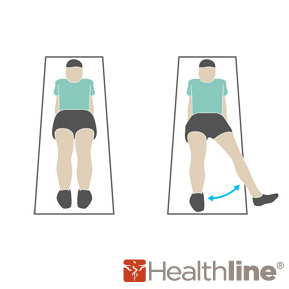 This exercise helps to circulate blood back to the heart in order to reduce swelling and reduce therisk of developing a DVT (deep vein thrombosis--a blood clot that can be dangerous). Lie flat on your back and tighten the muscles in front of your thigh by pushing the back of your knee down toward the floor. Hold for five seconds and relax. 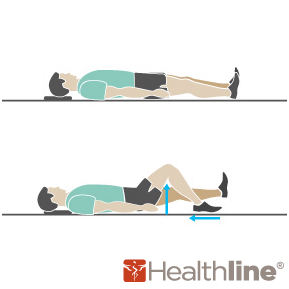 This exercise helps reduce swelling in the knee and builds distal quadriceps strength. This is crucial for standing with your knee locked and for walking. 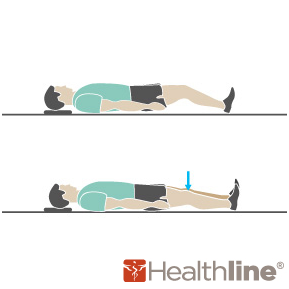 Lie on your back and slide your leg out to the side while your kneecap is pointed upward. Then slide your leg back to the starting position. This exercise helps activate your abductors, and more specifically your gluteus medius muscle. These muscles are crucial for pelvic stability during the stance phase while walking. Sit in a stable chair and bend your leg so that it is underneath the seat, bending your knee back as far as possible. Hold it for five seconds and then return it to the resting position. This exercise can help to improve your range of motion. Sit in a chair, bend your knee back as far as possible, and hold for 15-30 seconds. As you gain range of motion, scoot forward in the chair to increase the stretch. Over time and as tolerated, increase the duration of the stretch to 60 seconds and repeat several times per day. This exercise focuses on increasing knee flexion (range of motion). This is crucial for higher level activities like getting out of a low chair, going up a flight of stairs and driving. Lie flat on your back and then bend your hip and knee by sliding your foot and heel upward toward your buttocks. Then slide your foot and heel back to the starting position. Keep your kneecap pointed toward the ceiling during the entire exercise. This exercise focuses on building hamstring strength as well as improving active knee flexion range of motion. Both are important for all activities of daily living. This exercise helps build the quadriceps muscle through a larger range of motion. Lie on your back on the floor or a bed and place a rolled blanket or large coffee can under your knee. Straighten your lower leg and hold the position for 5 seconds. Slowly lower your leg and rest. Make sure the back of your knee stays in contact with the object the entire time and that the small of your back is on the floor. 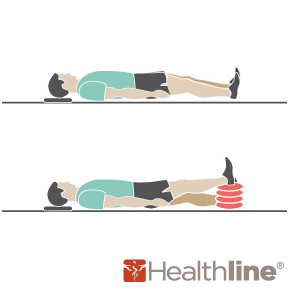 This exercise is one of the most important exercises to do early in your rehab program. It allows you to start gaining full knee extension which is crucial for gait. This exercise also helps increase terminal knee extension range of motion. You can increase the knee extension time to up to 30 minutes. Sit upright in a chair and place the leg with the artificial knee as straight as possible on an opposite facing chair (opposite chair not shown). Keep the leg extended and straight for 10 minutes; your toes can remain relaxed. Slowly take your leg out of this position as it will be a little sore. Let it rest but keep it moving. After this stretch, it's a good time to do your heel slides. Spend at least 10 to 15 minutes, two to three times a day, doing these exercises. Remember that increasing your range of motion in the early rehab phases is crucial to a successful recovery. Your ability to build up strength in muscles around the knee after surgery will help you rehabilitate faster and better. A lot of patients who undergo Total Knee Replacement (TKR) surgery are relatively old and age can make the recovery time longer. Weight loss is crucial as obesity can add stress on the operated knee/s. Work with your surgeon and physiotherapist to pick the correct exercises and gradually advancing them in intensity. Don't smoke and stay away from alcohol for a speedy recovery. Follow a balanced diet and prudent lifestyle. - Do not squat and avoid high impact activities after your surgery. - Physical therapy sessions are strongly recommended. You should add some nutritional supplements in your diet for faster recovery. Improvement of knee motion is a goal of total knee replacement, but restoration of full motion is uncommon. The motion of your knee replacement after surgery can be predicted by the range of motion you have in your knee before surgery. Most patients can expect to be able to almost fully straighten the replaced knee and to bend the knee sufficiently to climb stairs and get in and out of a car. Kneeling is sometimes uncomfortable, but it is not harmful. Most people feel some numbness in the skin around your incision. You also may feel some stiffness, particularly with excessive bending activities. Most people also feel or hear some clicking of the metal and plastic with knee bending or walking. This is a normal. These differences often diminish with time and most patients find them to be tolerable when compared with the pain and limited function they experienced prior to surgery. Your new knee may activate metal detectors required for security in airports and some buildings. Tell the security agent about your knee replacement if the alarm is activated. See your orthopaedic surgeon periodically for a routine follow-up examination and x-rays, usually once a year. For a speedy and long lasting recovery - combine positive dietary and lifestyle changes with the medical care. Post-surgery, the medications can cause nausea. Taking the medicines on a full stomach and incorporating 6-7 small meals/day instead of just 3 heavy meals can help with nausea. Weight is one of the biggest factors in progressing knee disease. Try cutting calories by taking smaller portions, avoiding sugary foods and drinks, and eating mostly plant-based foods. Avoid foods high in Cholesterol and Saturated Fat (egg yolks cream, butter, ghee, coconut, deep- fried items). No whole milk, choose low/skim fat milk. Avoid Hydrogenated Oils such as - dalda, vanaspati. Add plenty of Whole Grains (whole wheat flour, brown rice, whole beans). Choose foods high in Mono-Unsaturated Fat (olive oil, peanut oil) and Poly-Unsaturated Fat (fatty fish, walnuts, flaxseeds). Fruits and vegetables are always a healthy food choice. And as a bonus, many are loaded with antioxidants. These are substances that can help protect your cells from damage. Some antioxidants -- such as those found in apples, onions, shallots, and strawberries -- may also help reduce joint inflammation. This may help ease the pain. Omega-3 fatty acids can help relieve joint pain and decrease stiffness. They work by reducing inflammation in the body. One easy way to add omega-3s to your diet is by having two servings of fish each week. Some of the best sources are trout, salmon, mackerel, herring, tuna, and sardines. One study found that a compound in olive oil, helps prevent inflammation. To add olive oil to your diet without adding extra calories, try using it in place of other fats, such as butter. 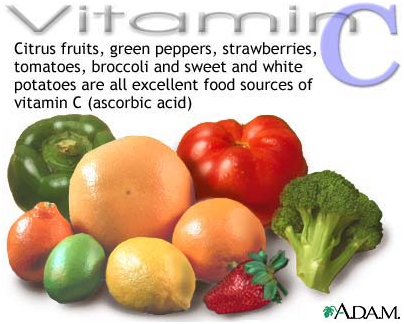 Eating foods rich in vitamin C is a great way to add this nutrient to your diet. Citrus fruits, red peppers, strawberries, broccoli, and kale are all good sources. Aim for the recommended daily amount of 75 mg a day for women or 90 mg a day for men. 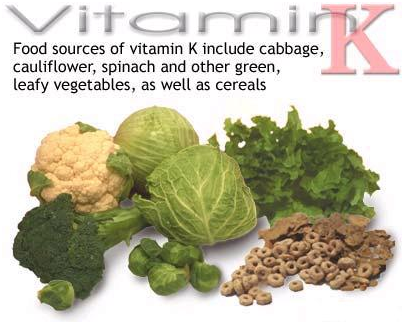 If on blood thinners avoids foods high in Vitamin K.
Check portion sizes for each food by going to these links.Do not add SALT or SUGAR to any food or beverages. For cooking, use only Olive oil or Peanut oil. 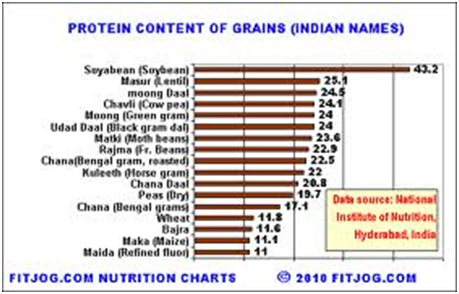 Add 2 servings of fish/ high protein diet each week if possible. Vitamin D As healing advances either a supplement or a 30-minute sun exposure to boost Vitamin D absorption can prove beneficial for bone health. Vitamin C and Zinc Helps boost your immune system for a faster recovery. Vitamin E Assists with healing and scarring. Iron Blood loss during the surgery could cause low iron levels leading to fatigue, anemia etc. Iron supplementation can combat this.Iron found in eggs, cereals, meat. It is never too late to adapt a healthy lifestyle. Maintain a balanced diet and perform supervised physical activity. Eat foods that are low in saturated fats and cholesterol. Avoid foods high sugar content. Increase protein, iron and vitamin C food sources to boost recovery. If overweight or obese, loose the extra kilos and maintain a healthy weight. Quit smoking and do not drink. Eat Right and Exercise your way to Healthy Knees.